The Pokémon Company has revealed Roto Loto in Pokémon Ultra Sun and Ultra Moon, a new feature that will reward players with items as their bond with Rotom deepens. 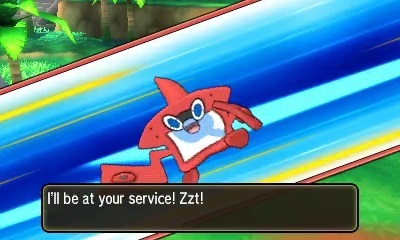 The special items that Rotom Dex’s Roto Loto will reward you with come in different varieties – some increasing the Exp. Points or prize money that players will receive for a set period of time, while others might make it easier to catch Pokémon or have other effects. Once collected, these Rotom Powers will be in your Bag and may be used whenever you like.